WORK is progressing on the broken Stainforth & Keadby Canal lift bridge. 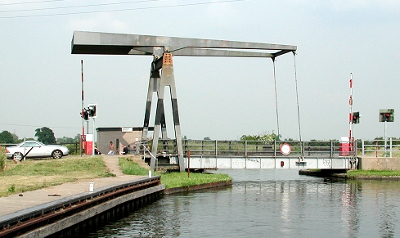 Workers have been on site at Wykewell Lift Bridge to lower it flat across the canal for vehicle use, Keith Gudgin tells us. The broken parts of the lift bridge require repair or replacement that is being determined, but the bridge cannot be in use until their replacement is complete. So the bridge is obviously out of action and the navigation is closed.